How many cinematic scenes did you make? For a total of over 120 minutes. Huh?! That much?! That’s like a whole movie! Yes, but we decided to count the number rather than the amount of time and to set the number of last time, in The Legend of Zelda: Twilight Princess3, as the standard. This time I wrote all the dialogue for the scenes that I wanted to portray and counted them, and there were a lot more than I had expected. 3The Legend of Zelda: Twilight Princess: An action-adventure game released for the Wii console and Nintendo GameCube system in December 2006. You had a lot that you wanted to portray through cinematics. Yes. We keep them organised by giving them each a number. For example, for number 30, there were about three files in there, like 30-1, 30-2 and 30-3. There was one scene I wanted to do no matter what. It’s toward the beginning. 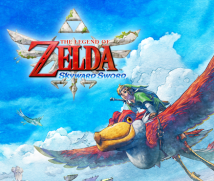 Zelda jumps down from Skyloft toward Link as he is flying on his Loftwing, and Link panics and tries to catch her. Last time, we talked about that skydiver who rescued a woman in the air. 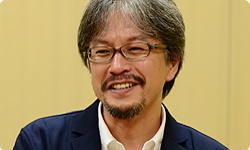 What were you unsatisfied with, Aonuma-san? What bothered me the most at the time was how, toward the beginning, cinematic scenes were running one after the other. I see. (laughs) But Fujibayashi-san, you really wanted to put that in. For that lovey-dovey scene, it was someone else who wanted to put it in. So I said, “We’ll think about it,” and we disbanded and shaved away other parts. And he pushed it through to the end. Fujibayashi-san, are you glad you left it in? Yes. I really like it. I’m glad we ended up leaving it in, too. It connects to the dormitory material. Yes. And I think it was really important to make the player feel like they really want to help Zelda. That’s right. We paid special attention to making the players want to save her when writing the dialogue, too. Part of the background is that Link and Zelda are childhood friends, so it’s only natural that they are close. 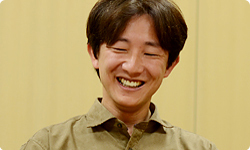 For that reason, we wanted to make Zelda care for Link from the start more than ever before. Yes. (laughs) And Zelda disappears in the beginning, so we tried to make it so that as you’re looking for her, you have several near misses and then feel even more strongly that you want to help her. In preparing the script this time, we envisioned where Zelda is and what she is doing while Link is on his adventure - even if you can’t see her. Oh, that’s new. Instead of saying, “Zelda is off somewhere distant,” you adventure with her constantly in mind. That’s right. And like Mori-san said, you have several near misses. And Zelda isn’t a princess this time. Remember Tetra in The Legend of Zelda: The Wind Waker? But while Tetra was a pirate in the beginning, in the end she became a princess. This time, she isn’t a princess from start to finish. Oh, that’s a series first. In the end, you find out how Zelda became a legend. For the first time since the series began 25 years ago! Yes. So for the first time, this game is indeed The Legend of Zelda!